Step 2. 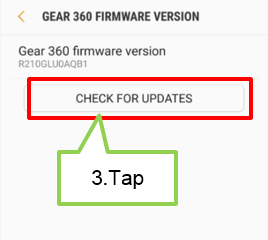 Tap Gear 360 firmware version. Step 3. CHECK FOR UPDATES. 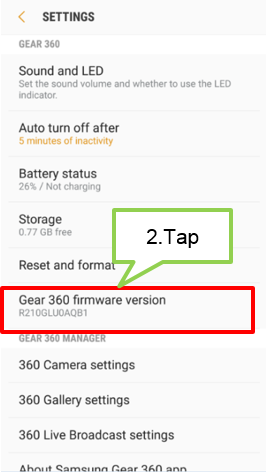 • Ensure that the Gear 360 and the mobile device are sufficiently charged before updating the firmware. 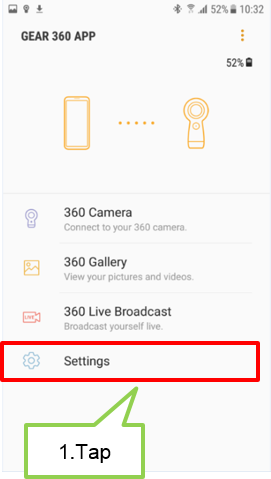 • Ensure that the Gear 360 and the mobile device are connected. 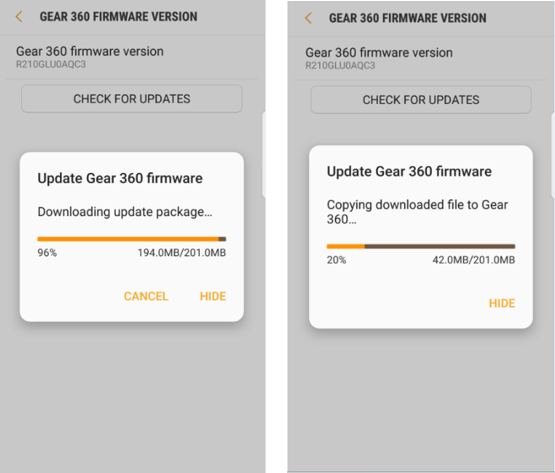 • Do not turn off the Gear 360 or mobile device while updating the software.